The past weekend saw Iron Dragon Tiamaton being played in some Side Deck. Most notably the 2017 World Champion, Tsujimura Ryosuke, recently ran 2 copies of Tiamaton in the Side Deck of his Altergeist deck. His deck list will be available in the next OCG 2018.10 Metagame Report #7. This article will explore how Iron Dragon Tiamaton became relevant in the current OCG 2018.10 competitive scene. Cannot be Normal Summoned/Set. Must be Special Summoned by the (1) effect. (1): If 3 or more cards are in the same column (Quick Effect): You can Special Summon this card from your hand. You can only use this effect of “Iron Dragon Tiamaton” once per turn. (2): If this card is Special Summoned: Destroy all other cards in this card’s column. (3): Neither player can use the unused zones in this card’s column. Gouki is currently the most popular variant of Link decks and the standard combo involves setting up Firewall Dragon and Knightmare Mermaid. Chain 1: Knightmare Mermaid‘s (1) effect. Chain 2: Firewall Dragon‘s (2) effect. Chain 3: Activate Infinite Impermanence, targeting Firewall Dragon. Chain 4: Iron Dragon Tiamaton‘s (1) effect. 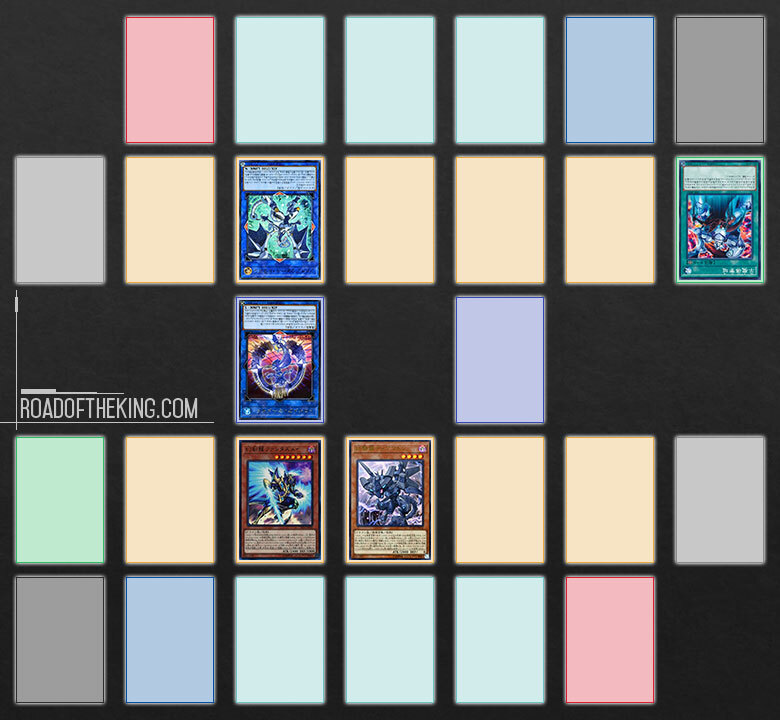 By activating Infinite Impermanence from hand in the same column as Firewall Dragon and Knightmare Mermaid, this would satisfy Iron Dragon Tiamaton‘s condition of having 3 or more cards are in the same column. Although there is the option of negating Knightmare Mermaid instead on Chain 3 with Infinite Impermanence, negating Firewall Dragon is crucial to ensure that after Iron Dragon Tiamaton is Special Summoned and its (2) effect is activated in a new Chain, Firewall Dragon could not activate its (1) effect in response and bounce Iron Dragon Tiamaton to hand. That would have caused Iron Dragon Tiamaton to resolve without destroying anything as it was not in any column during resolution. 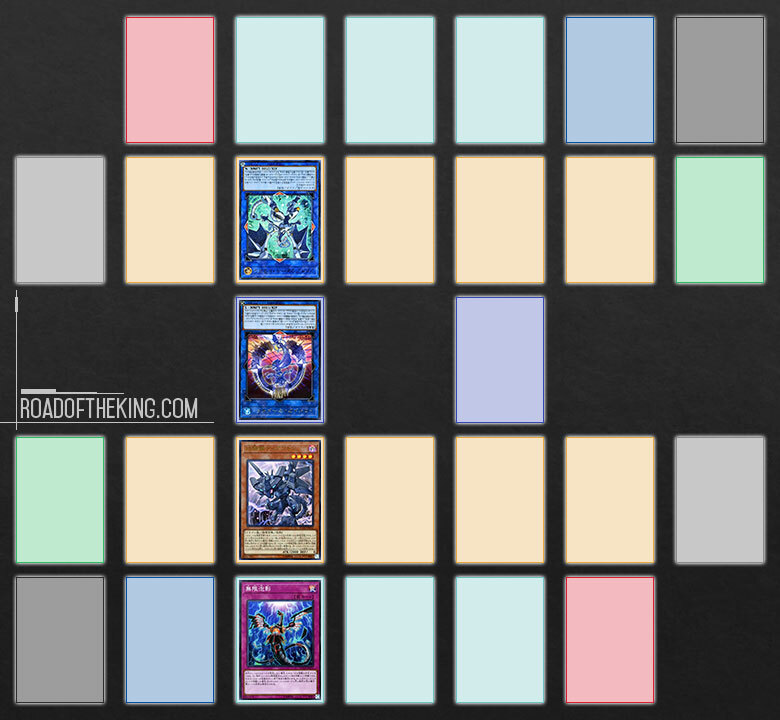 The opponent’s best move in this situation is to activate Firewall Dragon‘s (1) effect on itself in Chain 5, causing Infinite Impermanence in Chain 3 to lose target and resolve with no effect. Then Firewall Dragon‘s (2) effect on Chain 2 would resolve successfully. Using game theory, the following is the expected outcome when both players make the most rational decision making. Chain 5: Firewall Dragon‘s (1) effect, targeting Firewall Dragon. New Chain 1: Iron Dragon Tiamaton‘s (2) effect. Resolving everything, the opponent would be left with a Special Summoned monster and Knightmare Corruptor Iblee on the field. Although the opponent could still possibly develop from here, but it would be an uphill task, especially with Iron Dragon Tiamaton still blocking one of the Extra Monster Zone columns. The other method to setup for Iron Dragon Tiamaton is using Fantastical Dragon Phantazmay. By Special Summoning Fantastical Dragon Phantazmay into the same column as Firewall Dragon and Knightmare Mermaid, this would satisfy Iron Dragon Tiamaton‘s condition of having 3 or more cards in the same column. When the opponent Link Summons Knightmare Goblin, you can then activate Iron Dragon Tiamaton and Special Summon it in the same middle column. 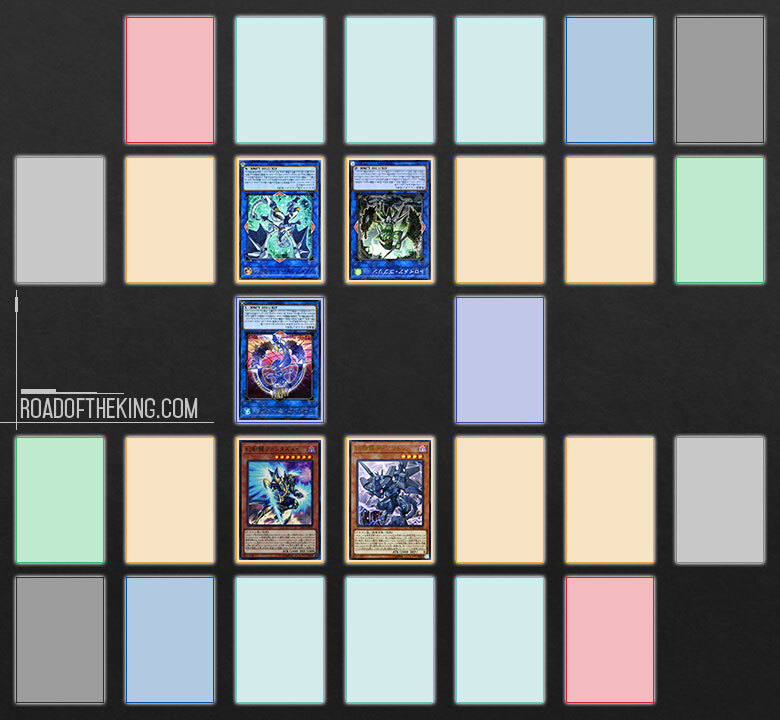 This would destroy Knightmare Goblin, and also blocks off the middle column, essentially preventing the opponent from using the other half of the field for Link Summoning. Fantastical Dragon Phantazmay‘s effect would protect Iron Dragon Tiamaton from being bounced by Firewall Dragon. Other than Fantastical Dragon Phantazmay, this also works with PSY-Framegear Gamma. Position PSY-Framegear Gamma and PSY-Frame Driver in the columns with the Extra Monster Zones. 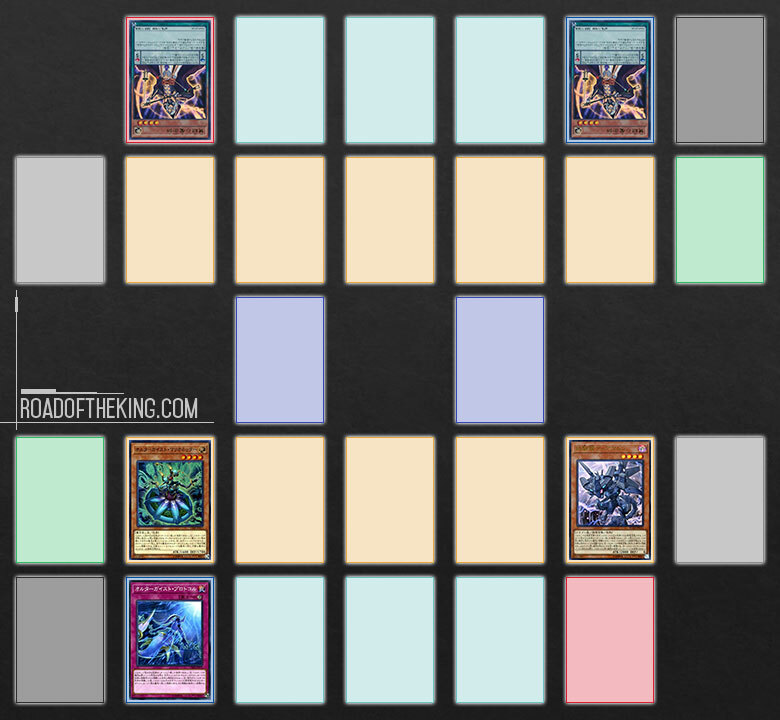 This way no matter which side that the opponent chose to Link Summon their Firewall Dragon and Knightmare Mermaid in, it would still result in having 3 cards in the same column. However, in this case, Iron Dragon Tiamaton is vulnerable to being bounced by Firewall Dragon. 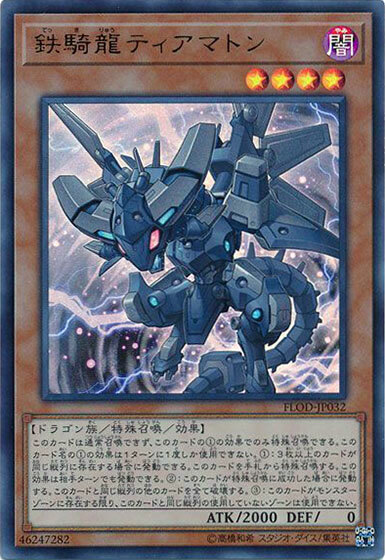 So Iron Dragon Tiamaton should only be Special Summoned after the opponent has activated Firewall Dragon (1) effect to retrieve Knightmare Corruptor Iblee. If the opponent opened with Magical Mid-Breaker Field, then Iron Dragon Tiamaton would not be able to destroy Knightmare Goblin. In this case, Iron Dragon Tiamaton would have to be preemptively Special Summoned to block off the middle column. Iron Dragon Tiamaton is also useful against Pendulum decks such as Magician and Zefra, but this requires you to go first and setup the board. 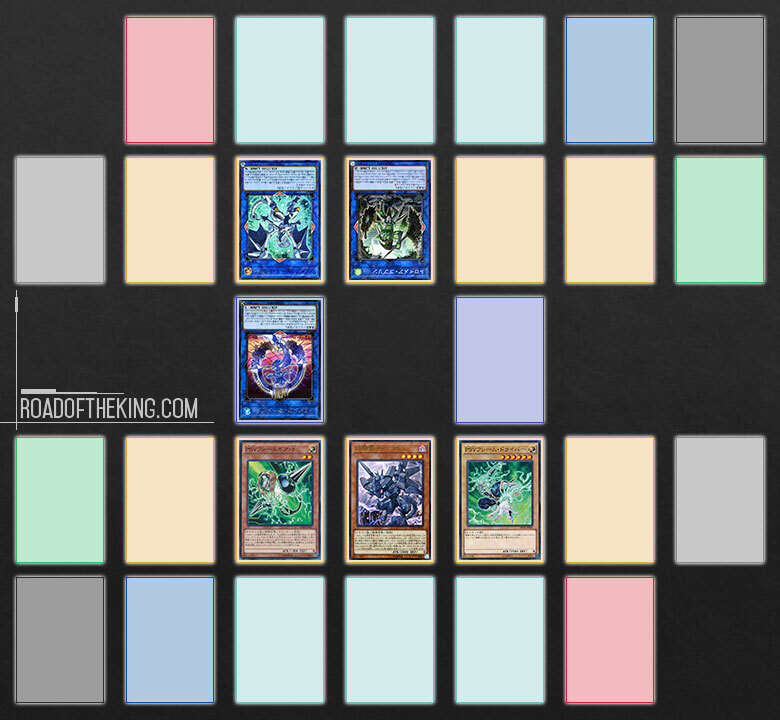 By summoning a Monster and setting a Spell/Trap together in the same column with the Pendulum Zones, when the opponent setup their Pendulum Scales during their turn, this would result in 3 cards in the same column. Iron Dragon Tiamaton can then be Special Summoned to the other column with the Pendulum Zone and destroy the opponent’s Pendulum Monster that was activated as a Pendulum Scale. Iron Dragon Tiamaton‘s (3) effect would then block the opponent from activating another Pendulum Monster as a Pendulum Scale in the other Pendulum Zone, thus effectively locking out the opponent from Pendulum Summoning. Against Magician, if the opponent has anticipated your Iron Dragon Tiamaton, then they would activate Purple Poison Magician in the column where Iron Dragon Tiamaton could be Special Summoned. If Tiamaton was Special Summoned in the same column, it would destroy Purple Poison, and in return Purple Poison would destroy Tiamaton, resulting in no lock out. A large portion of Iron Dragon Tiamaton‘s success in OCG 2018.10 Week #7 was due to the element of surprise as many players were not expecting to face this card. Now that the cat is out of the bag, players are now more meticulous with their placement and positioning. Even if you are not running Iron Dragon Tiamaton, it is still important to understand how Tiamaton is being utilized and play around it appropriately.